Of course I grow hostas in the Moosey Garden. They are considered by many to be the top foliage plants in the whole gardening universe. 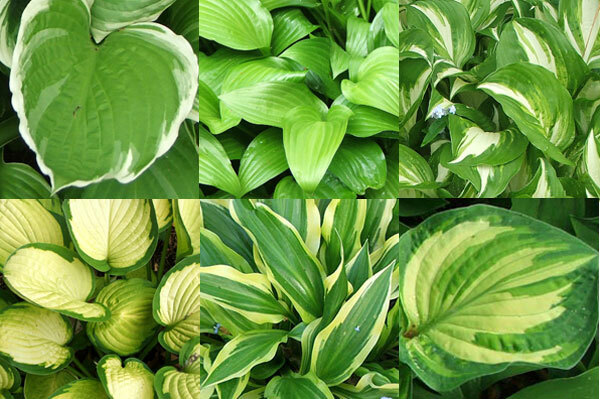 Serious gardeners know the names and the lineage of their hostas. Oops. My methods of acquiring hostas have been rather random - mail order assortments, sale price pots without labels, bags of pieces from gardening friends. I've always had an eye for a hosta bargain - particularly out of season when the leaves are tatty and the flowers gone. I've put together some photographs to celebrate my favourites. You'll see textures, and variegations, but nowhere will you see a name. Sorry about that!